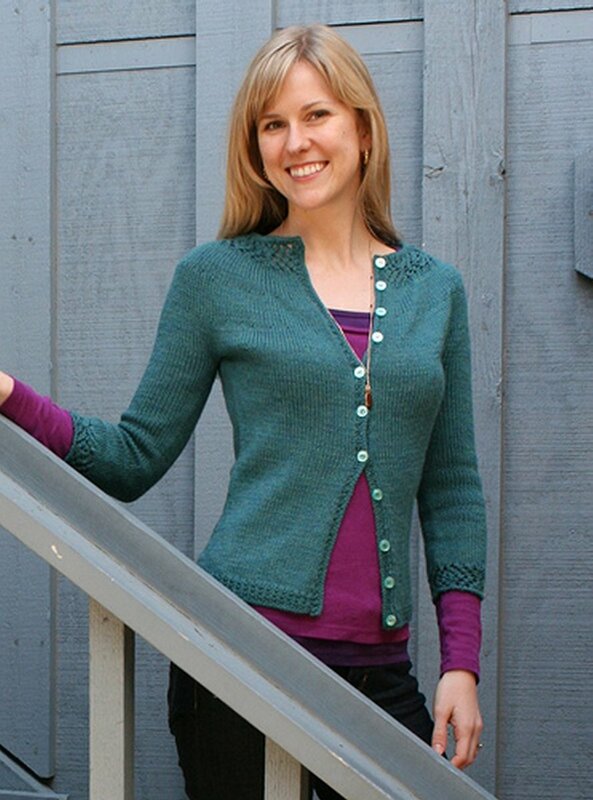 A fitted cardigan with a circular yoke, waist shaping and simple lace at the collar and cuffs. Berroco Booklet 397 Pixel Patterns - Granger - PDF DOWNLOAD and Andrea Mowry Drea Renee Knits Patterns - Comfort Fade Cardi are both similar patterns: 21 (5.25 sts. / inch) finished gauge, adult cardigan garment, for women, and dk (21-24 sts/4 in) yarn gauge. You may enjoy taking a look at the , and Malabrigo Lace Baby Merino Ios Beanie kits all using The Yarniad Patterns. Hopefully our suggested yarn options for Ios Beanie can help you come up with your next exciting new project idea!